While in Ohio for some Air Force training I decided to violate our 90 minute driving radius and drive two hours to the gorgeous Hocking Hills State Park. I have to admit, I did not expect much from Ohio, the drive in was about as flat as Nebraska and when I researched the highest point in the state, I found a local career center. My mind was drastically changed when I found the caves, waterfalls, and free state park entry that Ohio offers. Luckily when I showed up to the park (after a slide detour, courtesy of my GPS) there was another lady there for an extended hike who knew the area and pointed the must see places out to me. I had all day, so I planned to hit the major ones. 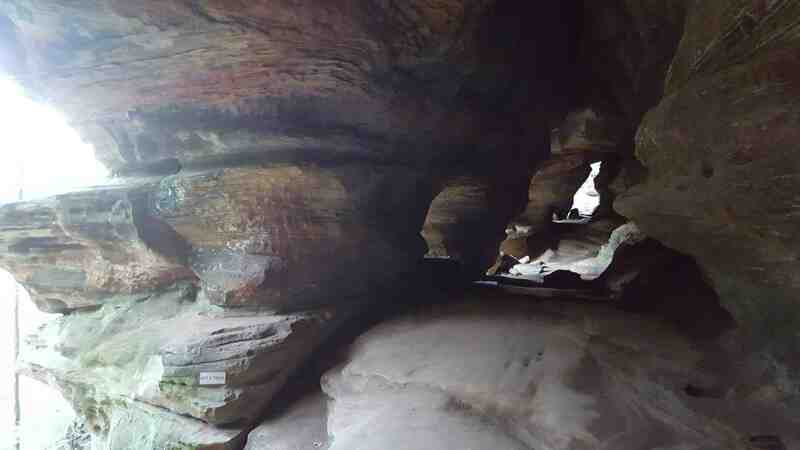 The original plan was to explore the Old Man's Cave and Whispering Cave areas, then drive to see Ash Cave and Rock House. 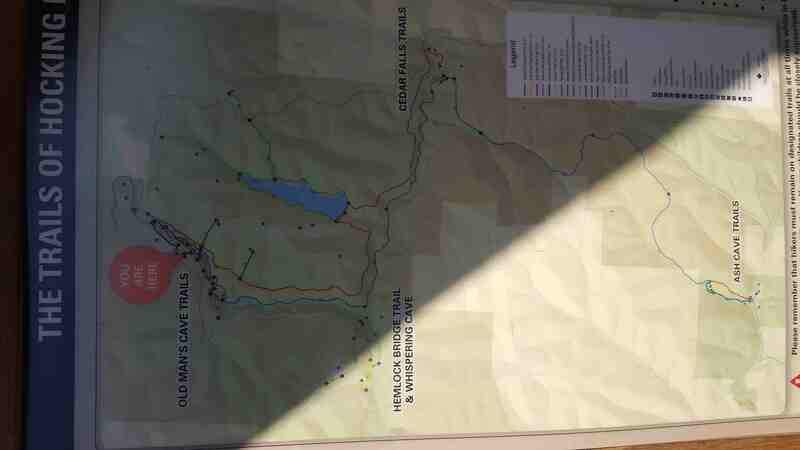 As I got hiking though, I was feeling pretty good and the trails were going quickly so I ended up doing the full loop from Old Man's Cave --> Whispering Cave --> Cedar Falls --> up to the lake dam and back to Old Man's Cave. I still drove to see Ash Cave and Rock House. All said, I hiked between 6 and 7 miles. The falls up top ^^^ were the first stop and even if this was all I had seen I would have been happy. The water was super clear and the scenery was amazing. Given that it was a bit colder that day, there were not huge crowds as I imagine must come in the summer. 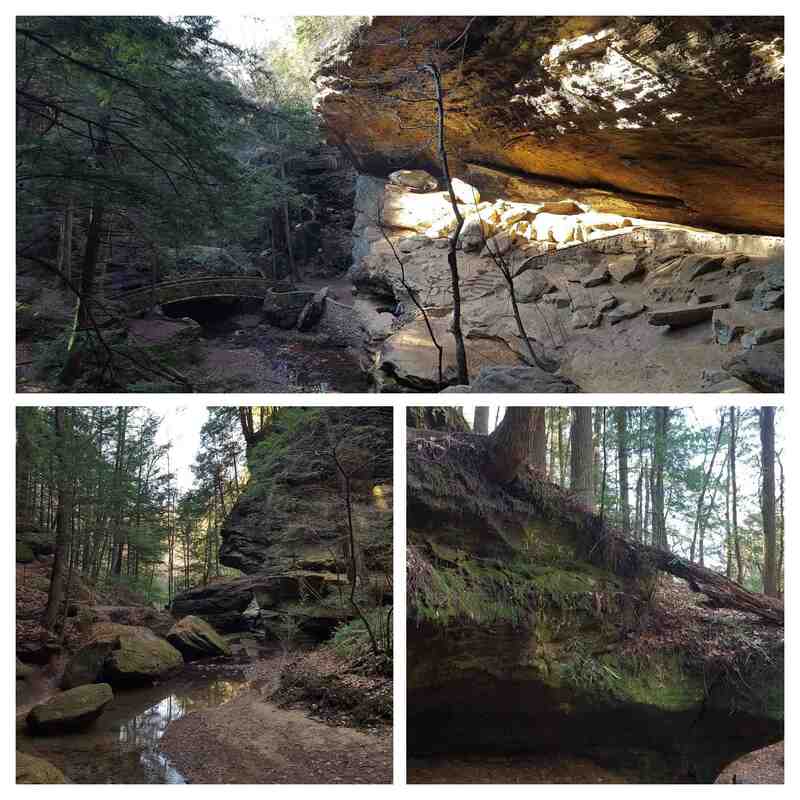 From the falls, I made my way to Old Man's cave via Turtle Rock and the Sphinx. The cave was apparently names after an old hermit who had set up shop here...the turtle and the sphinx are obvious right? From there I made a longer hike down to the Whispering Cave area. This cave looked very similar to Old Man's cave but was a fair bit smaller. The cool feature of this cave was the "waterfall" (water drip) that ran over the roof ledge. There was also a father/son hiking combo who were already up there and I could hear their quiet voices all the way on the other side of the cave. That is why I think it is called Whispering Cave. After that I made my way to the Cedar Falls parking area to break for lunch. Cedar Falls was pretty much on par with the Upper Falls but seeing even more waterfalls was cool. 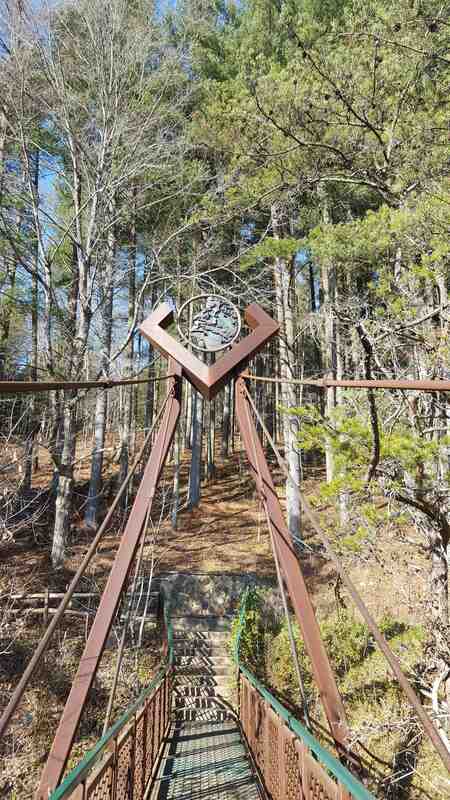 On the way, I had to cross this ominous looking bridge. I felt like I was crossing into the Stormlands or something. From Cedar Falls I started the trek back to Old Man's Cave. Once I got back to the parking area, I hopped in the car and drove to Ash Cave, the biggest cave in the park, named for the ashes found there from Native Americans. 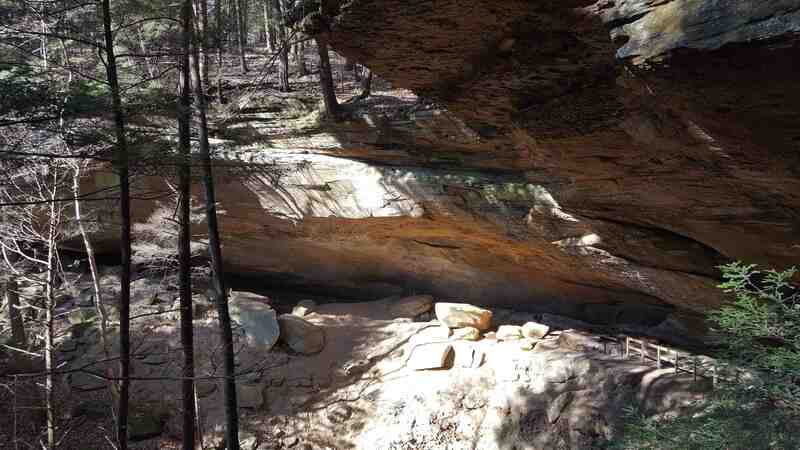 Then to Rock House, the only fully enclosed cave in the park. I cannot even describe how cool this place was, especially as unexpected as it was for me being from out of state. 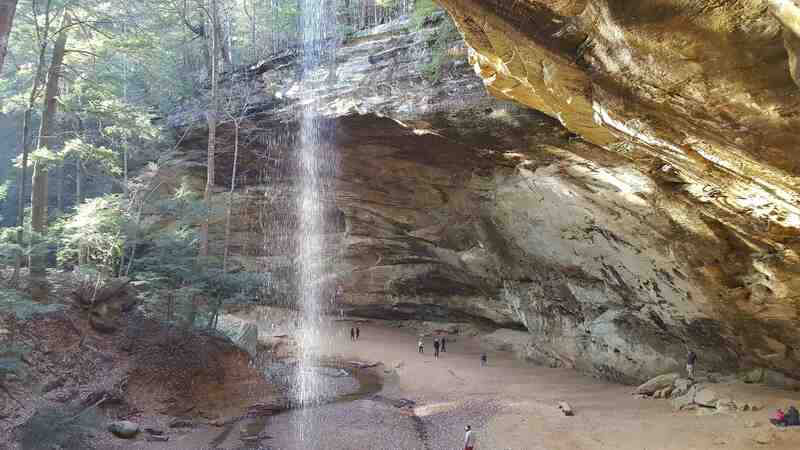 If you are ever in Ohio, I highly recommend Hocking Hills.